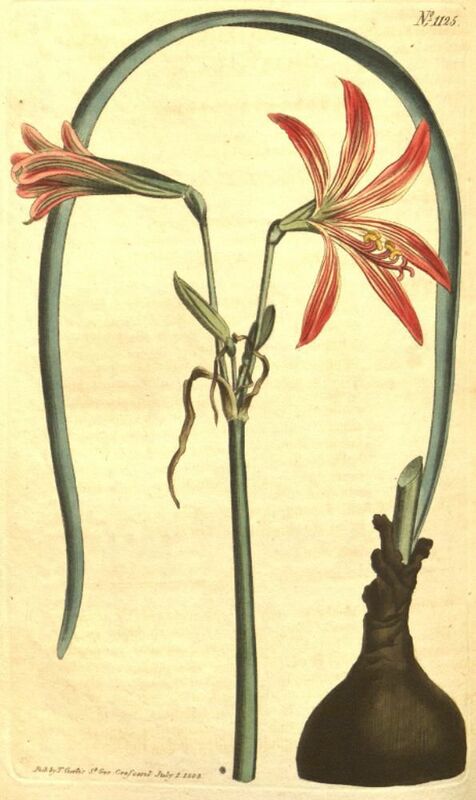 Probably Habranthus, Rhodophiala or related species, perhaps a form of Rhodophiala advena (Ker-Gawl.) Traub which see. This plant is used as illustration. Listed in all published catalogues [B.204/1843]. Rhodophiala advena (Ker-Gawl.) Traub | BM t.1125/1808 | BHL.